Newmarket’s eye for goal was a key factor as they defeated Kanturk in the Duhallow U21A Championship round robin on a scoreline of 0-15 to 4-16. The game was played July 24th in Newmarket. Newmarket began their 2018 JAHC campaign in impressive style with a 6-25 to 0-09 victory over Kanturk. The game was played June 24th in Tullylease. Junior Hurlers Get Championship off to winning start. 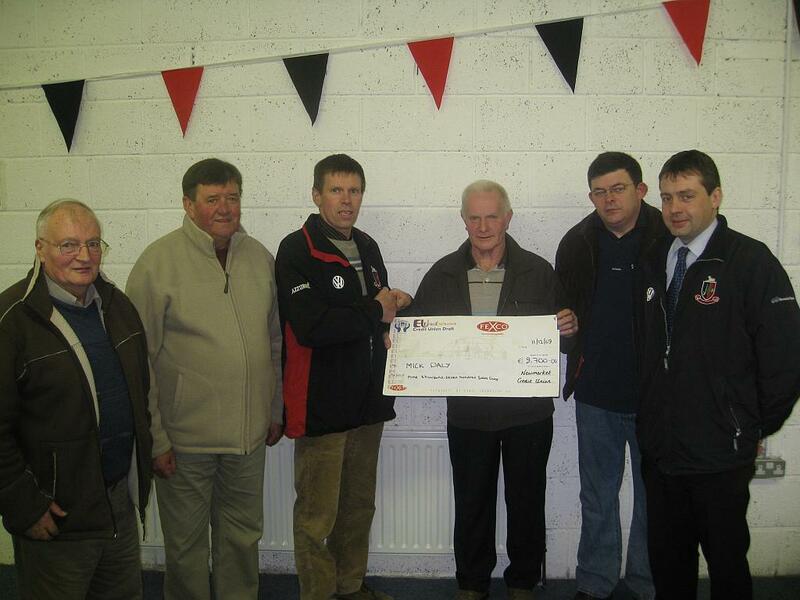 Newmarket Junior Hurlers began there Duhallow Junior Hurling Championship crusade with a win over neighbours Kanturk. Newmarket had too much class for Kanturk’s second string outfit in what turned out to be a tough physical battle. Newmarket bow out at semi final stage for a second year running to Kanturk in a game play in Lismire. Kanturk proved too strong and powerful as they emphatically claimed the Duhallow under 21 hurling championship final on defeating a gallant Robert Emmets side by 2-20 to 2-10 at Banteer on Saturday evening. Robert Emmets went down to a slender two point defeat against Kanturk, 0-13 to 0-11 following a tight and gripping contest played on a perfect sunny evening in Newmarket last Monday, before a fine attendance. A return of one goal and four points in the final ten minutes enabled Kanturk to progress into the semi finals of the Duhallow under 21 football championship by 1-12 to 0-9, after an otherwise tight and evenly contested encounter against Robert Emmets at Millstreet on Friday night. An eight minute first half Kanturk scoring blitz that yielded three goals and three points, put paid to Newmarket’s hopes in the North Cork Minor A Football championship semi final played at Millstreet on Wednesday evening, in a game which ended 3-8 to 0-8. The Newmarket junior B hurling team began their league campaign with a home defeat against Kanturk in a high scoring contest, 4-13 to 3-10 in an entertaining game played on Monday evening. Kanturk had a clear victory over Newmarket by 2-14 to 0-8 in the opening round of the Duhallow under 21 hurling championship played in ideal conditions at Newmarket on Saturday evening. Newmarket recorded a fine victory over Kanturk by 1-16 to 1-8 in the Duhallow Junior B hurling league in a game played in perfect conditions at Newmarket on Wednesday evening. Newmarket’s minor footballers recorded a fine win with a slender one point victory at home to Kanturk by 1-9 to 1-8 in the league on Monday evening. The Newmarket minors were defeated recently by a Kanturk side in good conditions in Kanturk by 2-15 to 1-10. Newmarket bowed out of the Duhallow under 21 hurling championship when defeated by Kanturk at floodlit Mallow on Wednesday evening last by 2-16 to 0-13. On Sunday morning Newmarket claimed their second victory within a week in the Junior B hurling league with a fine home victory over Kanturk by 2-17 to 0-7 in dreadful conditions. Newmarket’s minor hurlers were defeated in their second league outing of the year when they travelled to Kanturk on Monday evening where the home side claimed victory by 3-13 to 0-9. Newmarket suffered defeat to Kanturk in the Ducon Cup at Kanturk on Friday evening by 1-16 to 0-7. 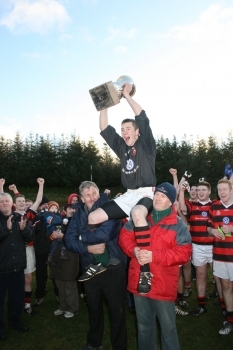 Defending Duhallow under 21 football champions Newmarket had to dig deep when two late points from John Lane and John Ryan helped them edge past Kanturk by 1-12 to 0-13 at the end of a gripping semi final played at Boherbue on Saturday evening to duly qualify for a fourth successive Duhallow final in the grade. Newmarket retained the Duhallow U-21 A Football Championship on Saturday last against Kanturk on a score line of 0-12 to 1-5. The reply, which was played a full seven months after the drawn final, was on in a perfect Rockchapel field. Newmarket have completed a two in a row now having won it last year against Boherbue, again after a replay. This is the eight U-21 title for the club.